OpsecEdu is a new non-profit organization “committed to researching and disclosing vulnerabilities in educational technology products and services while holding vendors accountable.” While it is an organization that many may not yet know, I’ve come to know their work and the valuable service they are providing to the education sector. In fact, I was pleased to be selected to be one of a growing number of wholly volunteer advisors to the organization. 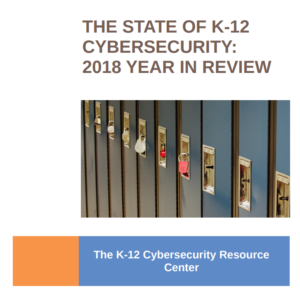 In their most recent podcast, I talk with Jared Folkins, executive director, about the future of OpsecEdu, the work of the K-12 Cybersecurity Resource Center, and about trends in school cybersecurity incidents. My thanks to Jared and the board of OpsecEdu for their work and ongoing partnership in helping to address the cybersecurity issues facing the education sector. You can learn more about–and sign up for–future editions of the OpsecEdu podcast at https://opsecedu.transistor.fm/. Montana incident: See, e.g., “In Columbia Falls, A Shaken School District Moves Forward from Cyber Threats,” “Criminals make student data public in escalating demands for ransom,” and “Schools Struggle to Keep Pace With Hackings, Other Cyber Threats” among other stories. Indiana incident (which I may have incorrectly referred to as being from Illinois during the podcast): See, e.g., “Lawsuit: $120K from Lake Ridge school construction bonds transferred to foreign ‘criminals‘” and “Lake Ridge Schools loses suit to recover $120,000 missing after hacking incident” among other stories.